You Did What With Your Wiener? is first and foremost about hiking and camping with small dogs. I live and breathe everything Dachshund, hiking and camping with dogs, and blogging. I am not a veterinarian but, honestly, I know more in-depth information about Dachshund traits, characteristics, and health issues than most of them do. I started this blog in 2010 to share what I know and help improve the lives of Dachshunds and their owners everywhere. Note: I’m happy to share my knowledge and experience but ALWAYS recommend that you check with your veterinarian after doing your own research. I have experience with both TV and Radio Interviews. 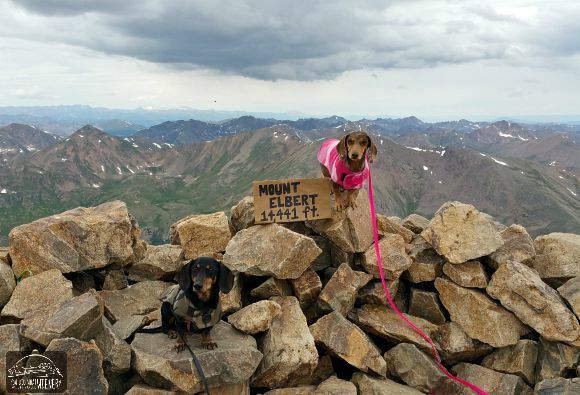 I’ve have been quoted as an expert on the topic of hiking and camping with small dogs, and the Dachshund breed, many times over the years. 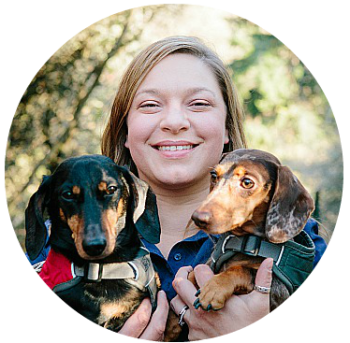 Podcast Interview: Dr. B. is joined by professional pet blogger Jessica Rhae Williams after Blogpaws 2018 to talk about miniature Dachshunds, why it’s unwise to make assumptions about the physical capabilities of a dog based on its size, hiking with small dogs, precautions to take when hiking with dogs, and her website, youdidwhatwithyourweiner.com. I appeared on the KIRO Radio 97.9 FM show – It’s Raining Cats and Dogs with Shawn Stewart – for a feature interview segment called The Dog Buzz. I was a regular on the show for a over a year and a half. Have you checked out our most popular posts page? We’d appreciate it if you checked them out and shared them with your friends. Oh, and don’t forget to keep coming back for more! If you’re saying “tell me more about” but can’t find and answer using the navigation menu on the home page, please send your question to me at Jessica(at)PetTalkMedia(dot)com or message me via our Facebook page. If I don’t have the answer for you (I probably do), I will find out or point you in the direction of someone who does.